Is your child a champion napper? Have they disappeared from all the typical spots only to be found dozing in the most unexpected places? Maybe you've found them laying under the jackets in the coat closet? Maybe they've been discovered sleeping outside between the flower beds. What leads to these unusual snoozing spots? Well, a variety of factors come into play. A child will lay down in any available sunspot, much like a cat. A child will steal away to a dark enclosed space when it's storming outside and they want to up the cozy factor. But most of all, children that doze in surprising locals have strong imaginations that lead them to seek out odd posts where they won't be disturbed to follow their fancies. Because of their escapist tendencies your dozing one is sure to take to the adorable Unity the unicorn along on their journeys. 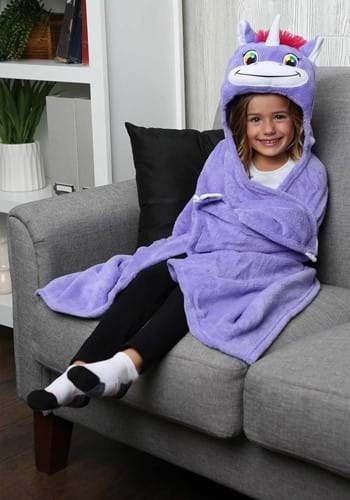 The microfleece blanket tucks into a pillow shape making it the perfect size to tuck under a small arm and getting carried around the house. Unity has a shock of pink hair for a tail and mane around the white horn. The face has multi-colored eyes and a wide, happy smile. It unfolds easily making those impromptu, imagination fueling naps better than ever. 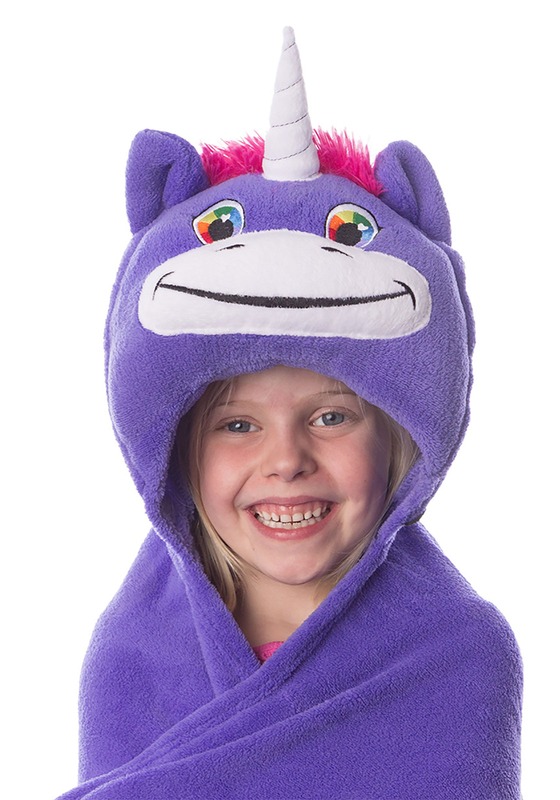 This cheerful blanket is what every champion napper deserves!